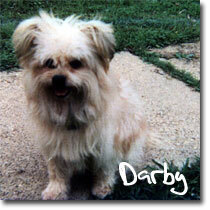 Darby’s Pals Rescue began quite informally in 1994 in the southeast Dallas area as simply a good-hearted gesture to take in a little Yorkie-Pomeranian mix dog who’d been terribly abused by both an owner and a groomer……..the dog’s name was DARBY……and thus began this great adventure! Our blessed sanctuary is now home to approximately 60 dogs and 25 cats (including the ferals), and our no-kill policy is of utmost importance. As much as we wish to find loving and permanent homes for all our animal friends, we especially cherish the hearts & lives of our “kids” who have been challenged with issues of physical impairment, neglect, abuse, abandonment, and aging. Our ultimate goal is to provide the best care possible for every single “Darby’s pal”—whether we end up matching it with that “perfect new family”, or just need to keep it safe here…..we strongly believe in doing whatever it takes to honor and cherish these precious lives of God’s creatures. Prior to adoption, all our “kids” are current on shots/ heartworm & flea preventative, have been spayed or neutered, and have been deemed healthy by our wonderful vet. Our feral cat program is designed to provide basic care and spays/ neuters for our rural community felines, while also trying to do our part locally to prevent animal over-population and spread of diseases such as feline leukemia/ AIDS. For reasons of security and safety, we serve potential clients by appointment only. We are very selective in matching our animals with prospective families; therefore, have a lengthy application process intentionally designed for that purpose. An adoption donation of $150 per animal is appreciated, to off-set previous veterinary costs paid by Darby's Pals Rescue for getting the animal ready for adoption; we do, however, honor a refund policy- so that we know for sure that if things don’t work out in the new home, the animal will be promptly returned to us safely. If seriously interested in one of our animals, please call to discuss the relevant information and to make arrangements to receive our adoption application. As for adding any more animals to our mix right now……..we are presently FULL to capacity, and cannot take in any more animals at this time. We are located about 40 miles east of Dallas, Texas. Visits by appointment only. 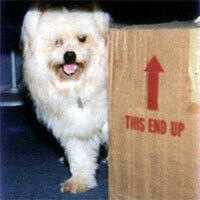 Good as any dog can be. So they took me away. But now I’ve given up. I hear her cry at night. So small, so scared, so thin. And give us a home, sweet home. Copyright © Darby's Pals Rescue, Inc.